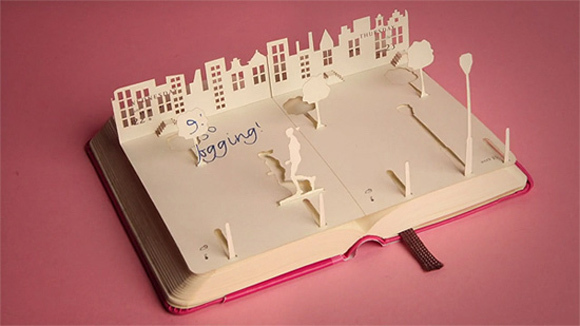 Awesome stop motion animation by Rogier Wieland for Moleskine “Extra Small Planners”. 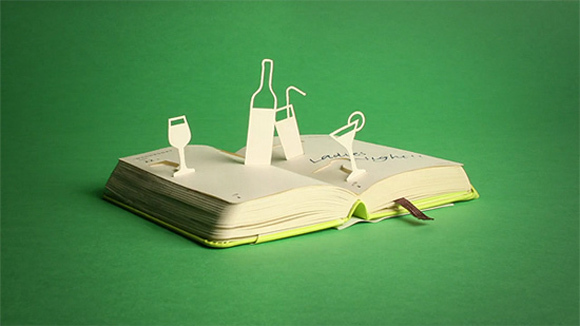 Impressionante animazione stop motion di Rogier Wieland per Moleskine “Extra Small Planners”. I wish to show some thanks to you for rescuing me from this particular setting. Just after surfing through the internet and coming across methods which were not helpful, I thought my entire life was gone. Living without the presence of approaches to the issues you have fixed by means of your entire guideline is a serious case, as well as ones that could have in a wrong way damaged my career if I had not noticed the blog. Your main know-how and kindness in controlling all the details was precious. I am not sure what I would’ve done if I had not come across such a subject like this. I’m able to at this moment relish my future. Thanks for your time so much for this high quality and sensible guide. I will not hesitate to recommend your web blog to any individual who would like counselling about this topic. Hello my loved one! I wish to say that this post is amazing, nice written and come with almost all vital infos. I would like to look extra posts like this . It¡¦s actually a great and helpful piece of information. I am happy that you just shared this useful info with us. Please stay us up to date like this. Thanks for sharing. I¡¦ve been exploring for a bit for any high quality articles or weblog posts on this sort of space . Exploring in Yahoo I ultimately stumbled upon this web site. Reading this information So i¡¦m happy to express that I have a very excellent uncanny feeling I found out just what I needed. I so much indubitably will make certain to don¡¦t forget this web site and give it a look on a relentless basis. Thanks so much for providing individuals with remarkably spectacular opportunity to read articles and blog posts from this website. It can be so enjoyable and as well , stuffed with fun for me and my office co-workers to search the blog really three times per week to find out the latest secrets you will have. And indeed, I’m so certainly amazed considering the dazzling tips and hints you serve. Selected two facts in this article are absolutely the finest I’ve ever had. tvhkjxr,This website truly has alll of the information and facts I wanted about this subject and didn?t know who to ask. I want making my own music blog site and I’m regularly browsing many music blogs throughout the day discovering new songs first before other individuals that I know. However how exactly do those blogs discover that music initially? Can I really begin by just posting the songs I locate on other blog sites?. bgiwhj,Very helpful and best artical information Thanks For sharing. whoah this weblog is magnificent i love reading your posts. Keep up the good paintings! You realize, many people are searching around for this information, you can aid them greatly. cnnronuvu Yeezy Boost 350,Waw! Its really great and wonderful ever i found. Thank you for sharing this info. I¡¦ll right away seize your rss as I can’t to find your e-mail subscription link or e-newsletter service. Do you’ve any? Please let me recognise so that I may just subscribe. Thanks. I¡¦m now not certain the place you’re getting your information, however great topic. I must spend some time learning much more or figuring out more. Thank you for wonderful information I was looking for this info for my mission. It is perfect time to make some plans for the future and it is time to be happy. I have read this post and if I could I desire to suggest you few interesting things or advice. Maybe you could write next articles referring to this article. I wish to read more things about it! Thanks for another excellent post. Where else may just anybody get that type of information in such a perfect method of writing? I’ve a presentation subsequent week, and I’m at the look for such information.